Visit South Beach and Ten Thousand Islands National Wildlife Refuge for some beach relaxation. Step off the beaten path and head to Fishing Charters & Tours and Everglades National Park. Explore the numerous day-trip ideas around Miami: Everglades National Park (Shark Valley & Anhinga Trail), Big Cypress National Preserve (in Ochopee) and Fort Lauderdale Beach (in Fort Lauderdale). 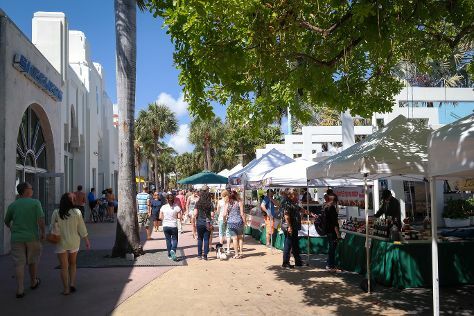 Next up on the itinerary: get a taste of the local shopping with Lincoln Road, take a stroll through Ocean Drive, explore and take pictures at Art Deco Tours, and browse the different shops at Bayside Marketplace. To see ratings, more things to do, photos, and more tourist information, use the Miami trip builder . In February, plan for daily highs up to 79°F, and evening lows to 65°F. Finish up your sightseeing early on the 5th (Tue) so you can travel back home.